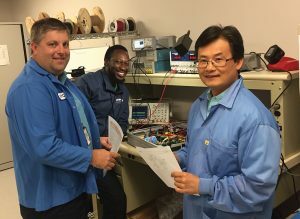 Left to right: Tony Adesulu, David Clark and Tin Le at work on the design and development of a power supply. 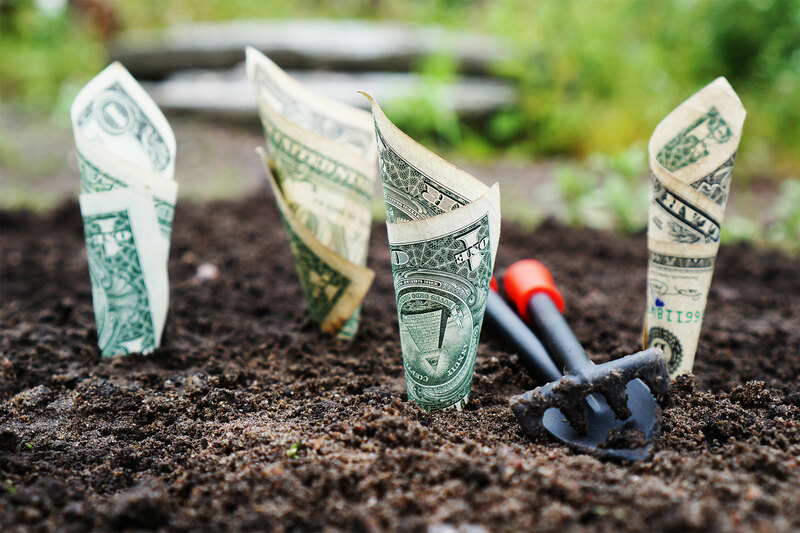 Wanting to expand its customer base, Atlantic Inertial Systems Inc. (AIS) entered the Potentia Economic Gardening Network in 2015, which is hosted by the Heath-Newark-Licking County Port Authority. Yet achieving that goal was complicated by AIS’ acquisition history. The Heath, Ohio-based company, which provides engineering services for inertial instruments and missile guidance systems to the defense industry, had gone through numerous acquisitions since its launch in 1996, and was owned by UTC Aerospace at the time. Among its client base, AIS had two very large customers. In the past, face-to-face meetings were rare, held only if the engineers had deliverables or management reviews. Yet the level of interaction escalated quickly as AIS strove to establish stronger relationships. “We asked to meet with them on a monthly basis to discuss other work we could do — and to our surprise, they were very welcoming,” Le says. As a result, AIS has won several new contracts with existing customers — the first in more than 10 years. As AIS was going through its Economic Gardening engagement, there was a surprise: Its parent company put them on the auction block. Yet the Port Authority was able to help AIS transition to a new owner: Bionetics Corp., a Virginia-based engineering and applied science company with an office in the Port Authority’s office park. “Without the Port Authority, we’d probably be dissolved and closed,” Le says. Instead, rebranded as the Bionetics Corp.’s Defense Engineering Services Group, Le’s company has a rosy future. Implementing insights and information gleaned from Economic Gardening, along with other services from the Port Authority, Le expects 2018 revenue to increase by 50 percent from 2017.